Bekal fort is the biggest and well-maintained fort in Kerala. 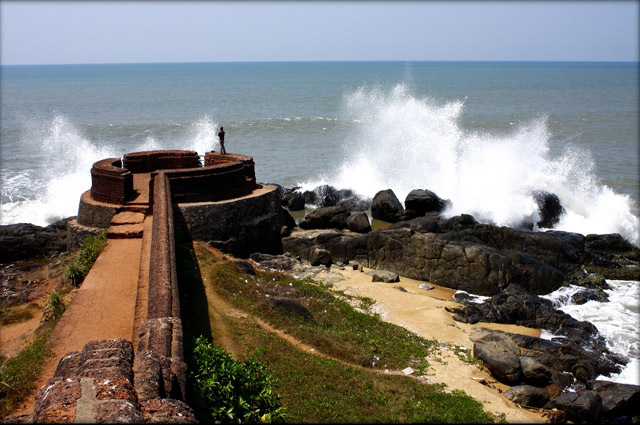 Bekal Fort is situated on the seashore of Pallikara village, about16 km south of Kasaragod on the national highway. This bekal fort is believed to have been constructed by Shivappa Nayak, a local Chieftain in the 16th century. The natural scenery at Bekal is attractive and makes a visit to the place an exciting experience. There is a recently modernized temple dedicated to Hanuman, at the entrance to Bekal. An old mosque is also situated very near the fort and this is believed to have been founded by Tipu Sultan. The Bekal Fort is perched on top of a hill, offering impressive panoramic vistas of the fringing countryside. Its about the kasaragod, tourist attractions, bekal fort, kasaragod bekal fort, kasaragod district information’s. 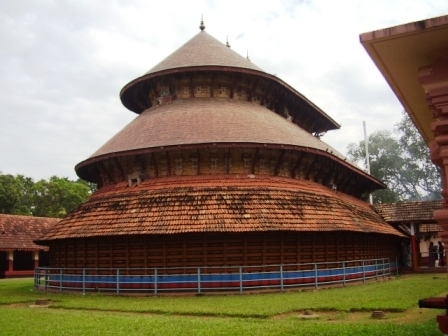 The Mallam Durga Parameshwari Temple is located in Muliyar Village near Bovikanam, in Kasargod District of Kerala. 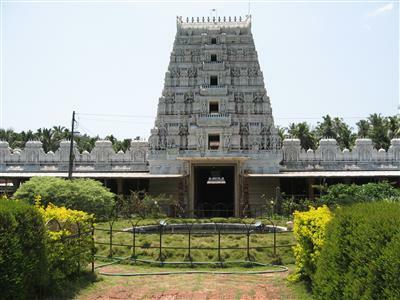 The mallam durga parameshwari temple is Centuries old. The presiding deity of this temple is Goddess Durga Parameshwari. Ananthapura Lake Temple is one of the major tourist place,and also it is an ancient and attractive-looking temple, dedicated to Lord Vishnu. It is located 15 kms away from Kasargod in the northeastern direction. The temple, which is surrounded on all sides by water, would appear as if it is made out breaking a huge rock. A bridge connects the temple premises and the main temple. It is the only lake temple in Kerala and the Moolasthanam (original seat) of Ananthapadmanabha Swami ( Sri Padmanbha Swami Temple ) Thiruvananthapuram. Local belief is that Ananthapadmanabha had settled down here originally. Kasaragod is blessed with the beautiful and holy Sree Manantheswara Vinayaka Temple, It is also one of the major tourist places in kasaragod . This temp le celebrates a grand and colorful five-day annual festival at Madhur in Kasaragod. The Madhur Temple is a Siva temple with Srimad Anantheswara as its presiding deity. But importance is given to the deity Maha Ganapathi. The Sivalingam of the temple is said to have been found by a harijan woman, Madharu. The blessed theertham of the temple well is believed to cure all diseases. The magnificent construction of Srimad Anantheswara Vinayaka Temple -the rich architecture and copper plate roofing rises royally against the beautiful landscape on the banks of Madhuvahini. It is said that the temple was attacked by Tippu Sultan of Mysore during his invasion and he felt thirsty and drunk the water from the temple well, which changed his mind and left the temple without damaging it. There is a mask on the temple which is said to be made by Tippu with his sword. The special festival of the temple is Moodappa Seva, which is covering the large figure of Maha Ganapathi with appam made of ghee and rice. This is one of the most famous beaches of the region. 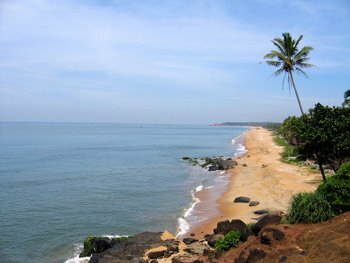 Its calm, remote, and isolated location brings the tourists of Kasaragod here. It is becoming a major tourist destination with every passing day as it offers an unmatched ambience of vast beaches and serene waters. The site presents an ultimate peace to one’s mind and soul. The Kodi Cliff is situated close to the beach, offering panoramic views of the azure Arabian Sea . hi ethil Raanipuram enna manoharamaya sthalatthe kurichu kaanunnillallo? Great information. Hope you continue to educate the rest of the world about this region in India! Thanks for your grateful informations, am working in Tourism Website so it will be a better information’s for me. Try to post best informations like this always..